Up next: Zakhar Prilepin’s The Black Monkey, which I finally have the time to appreciate. Image credit: Read Russia colleague Jack Brighton. Disclaimers and disclosures: 1) I worked on Read Russia preparations during spring 2012 and traveled to New York as part of Read Russia. 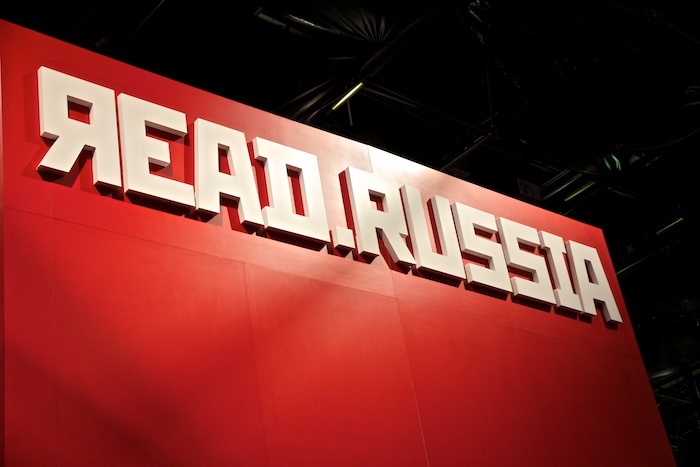 This post contains my personal opinions and may not reflect the opinions, views, or preferences of organizations or individuals involved in Read Russia. 2) This is patently obvious because of my translation and writing work, but I feel compelled to mention it yet again because of blogger disclosure expectations: I have met and/or have professional and/or personal relationships with many of the people and organizations mentioned in this post. I have discussed literature in translation, including (on various levels of involvement) actual submissions, with publishers mentioned. Here’s my standard disclaimer/disclosure statement about all that. Also: Open Letter sent me a review copy of Maidenhair. I sent a spare copy of St. Petersburg Noir to another blogger for review. I was very happy when translator and writer Olga Bukhina sent me a note last month asking if I’d like her to write another guest post about Russian literature for children. I was happy to say Yes: some of you told me you enjoyed her previous guest post, plus I’d been so busy teaching and working on preparations for Read Russia that I was getting behind in my own reading and writing. Of course, Olga’s topic sounded great, too—writers who write for adults and kids—and two of the writers she mentions in her post were in New York last week for BookExpo America and Read Russia events. I’m grateful to Olga for writing this post (even more so because I came home exhausted and with a bad cold)… and for being such a good friend and colleague last week in New York! Lyudmila Ulitskaya has published a lot of short stories about children, such as her series Девочки (Girls), but her Истории про зверей и людей (Stories of Animals and People) are for kids. The book starts with three tales with very long descriptive names. История про воробья Антверпена, кота Михеева, столетника Васю и сороконожку Марью Семеновну с семьей (A Story of Antwerp the Sparrow, Mikheev the Cat, Vasya the Aloe Plant, and Maria Semenovna the Centipede and Her Family) is about three creatures who first get together out of loneliness. They stay together for the sake of helping a muddle-headed mother centipede to raise her enormous family. These little tales are funny and to the point, and have just exactly the right proportion of light humor and moral message. Yes, it is good to love everyone, including “those who do not look like you, for example, sparrows, cats, and aloe plants.” The tales are followed by a collection of very short stories, Детство-49 (Childhood-49), published before as a separate book. These are more realistic vignettes of post-World War II Soviet childhood, and the reader clearly sees the events through the child-protagonist’s eyes and senses the child’s biggest fear or strongest desire. Bykov’s О зверьках и зверушах (About Critters and Creatures), whose subtitle I already mentioned above, is sometimes published as a part of a larger book В мире животиков (In the World of Animalitos). 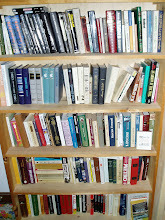 He co-authored these tales with his wife Irina Luk’ianova. They are tiny stories about various animal-like creatures who live in different towns, Гордый (Proud-Town) and Преображенск (Transfiguration-City). They are female and male, and behave just like people in spite of their tassel tails. Some of them are very good, others are very bad, and still others are somewhere in between. There is a lot of contemporary politics, eternal religious debate, Christian allusions, parodies of Russian intelligentsia, and gender role discussions in these tales. Some of them are truly for children, others are more for adults, but all of them are written in a fairytalish form with a light touch. Сказка о необитаемом острове (A Tale of the Desert Island) about the adventures of two young ones, Il’ka and Fedya, is, to my taste, the most touching story in the collection. Boris Minaev is a different case: he is someone who started as a children’s writer and moved into adult literature later on. His Детство Левы (Leva’s Childhood) is a quite realistic story of Soviet Jewish childhood in the early 1970s. It is almost a memoir with details which are very familiar to anyone who lived through these times: the yard outside of the apartment building, soccer and other games, the Victory Day celebration, the fear of darkness, a hole in the asphalt which turned out to be a cave without a treasure, a children’s movie for 10 kopeks in the local movie theater, and a first cheap cigarette. Another time-traveling experience is Boris Akunin’s Детская книга (Children’s Book). It is a part of his famous Fandorin series, but this time the main character is not an Erast Fandorin, an aristocrat and an adventurist, and not his grandson, a Moscow detective, but his great grandson and namesake who lives in contemporary Moscow and travels to 1914, to the time of Boris Godunov in the 17th century, and to the future with the help of “chronoholes.” It is a combination of adventure novel and historical fiction, and a page turner. The postmodern tales of Ludmilla Petrushevskaya (Lyudmila Petrushevskaya) are really in their own category. The longer I read them, the more I am convinced that they are not in the realm of children’s literature. Their dark and absurdist humor targets a much more mature audience, even though the series about Barbie dolls from the collection Настоящие сказки (The Real Tales) looks like children’s stories, and many other stories refer to classical fairy-tales. A similar literary device was used by Alexander Kabakov in his Московские сказки (The Moscow Tales), where he applies well-known fairy-tales and legends, like the Tower of Babel, to contemporary situations. For more: Olga Bukhina often writes Russian-language posts for a blog maintained by the Working Group for Study of Russian Children’s Literature and Culture. The blog also contains pieces written in English. Up next: A few notes on BookExpo America and Read Russia, then a post about an actual book I’ve read. Maybe Zakhar Prilepin’s The Black Monkey... I can’t tell you how much I’m looking forward to getting back to writing about my books! Alexander Terekhov won the National Bestseller Award today for his Немцы ([The?] Germans). According to Lenta.ru, he received votes from four of the six judges. Two other writers received votes in the final round: Anna Starobinets, for Живущий (The Living) and Sergei Nosov for Франсуаза, или Путь к леднику (Françoise, Or the Way to the Glacier). That’s it for tonight from New York!